Last week, I had a chance to go to my local independent book shop and see John Scalzi read from his new book, The Human Division. He did a Q and A as well, and after that, he graciously sat and signed books for several hundred people. I had brought my kindle to be signed, but I knew it was going to be an incredibly long wait, so I browsed the shelves for an hour before getting into line. As much as I enjoyed getting to see one of my favorite authors speak, the best part of the night was looking at books. I so rarely go into shops (in part because when I do, I usually come out with eight or ten books that I could have gotten cheaper elsewhere) that it was a treat to wander around and get lost in the shelves. As an added bonus, when I finally got up to the head of the line (I waited for half an hour once I made my purchase, which was great because I was finishing Lost in Clover and the time flew by), I was holding a book by China Mieville, and it prompted a conversation with Scalzi about how unfair it was that Mieville was not only a great writer but also a cool guy and incredibly fit (Scalzi may have used the phrase “pink granite” to describe him, and it might have been amazing). In that same stack, I had what I considered to be sort of an outlier for my interests, a book called How To Be An Explorer Of The World. Now, when I’m book shopping, I always open any potential purchase and read the first chapter or so; that’s usually enough for me to know whether it’s going to languish on the “to-read” shelf or be picked up and devoured immediately. This one was a little different. It’s a collection of exercises and quotes intended to open the mind up to appreciating the “ordinary” things all around us. In the back, it has a field journal so that a reader could take this book and make notes about experiments and projects being conducted. It actually seemed like something my husband would really like, and when I bought it, I fully intended to give it to him. Then I read it, and I changed my mind. This wasn’t a book I could give away. 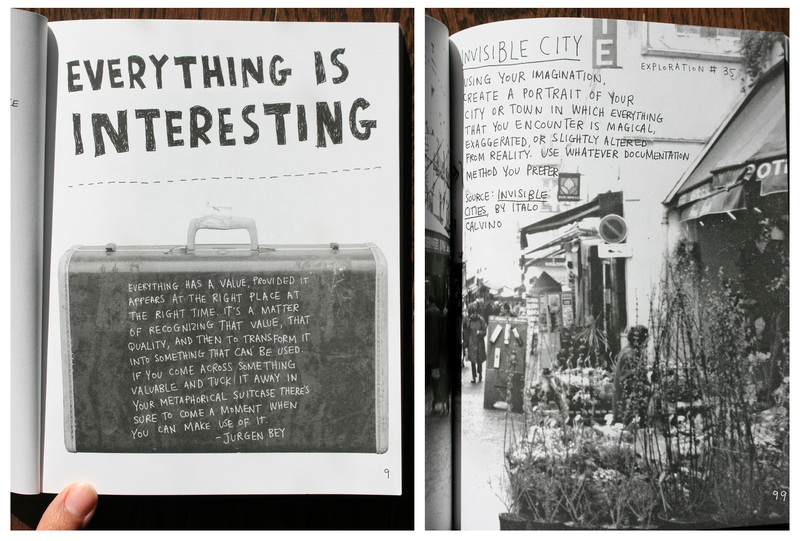 Instead, it was a book I wanted to take on all my vacations. I wanted to pull it out when I go to visit people. I want to have it for the day when I have children who are bored. After I read this book, I knew it wanted to be a living object, and I wanted to be the one to bring it to life. When I was in the first grade, in the winter, we would collect our jackets for recess, and then we would go back and sit at our desks until we were called to line up at the door. Because some children still needed help getting into mittens and hats and boots, this process could take quite a long time, and I began to create a little play world for myself by spreading out my coat on top of the desk. I would rest my chin on the desk and imagine these little stories that took place in the sleeves and collar and along the zipper. I would do this every day, and it got to the point when I looked forward to those five minutes at my desk more than I did the recess that came afterward. Ten years later, I wrote a monster mystery story for my English class, and it was inspired by that coat and the world I had created there. I’m telling you about that because this book reminded me of why so many of stories start out with a tiny moment and grow from there. I get inspired by close observation of ordinary things. My first novel for NaNoWriMo started out with a man, who had just lost a very important briefcase, walking home in the rain; his attention is caught by a flooding sewer drain and the leaves snagged in the vortex of water. I started there because even though I didn’t know what story I wanted to write, I knew I could describe that scene. I figured it wouldn’t be so overwhelming to start a novel with something I knew this well, and it wasn’t. Whenever I get stuck, this is my go-to writer’s block breaker. I call upon a memory of observation and I step back into that moment; then, once the juices are flowing, it’s easier to jump into unknown territory. I can’t help but be excited when I read a book like this that encourages that type of thinking and has a slew of new ideas for me. I can already imagine how much fun some of these “Explorations” could be with my husband or mother or friends. It’s easy to get caught up in my routines, even when I know that my brain explodes creatively when I try something out of the ordinary. When I think about how easy I found it to play in huge, imaginary worlds when I was a child, I get jealous of my former self. I want to crawl on my belly through the forest playing spies and have a detective agency to run from the neighbor’s swing set. I want the magic I so effortlessly knew existed then to exist now, and Keri Smith has managed to give me a road map back to that kind of joyful living. 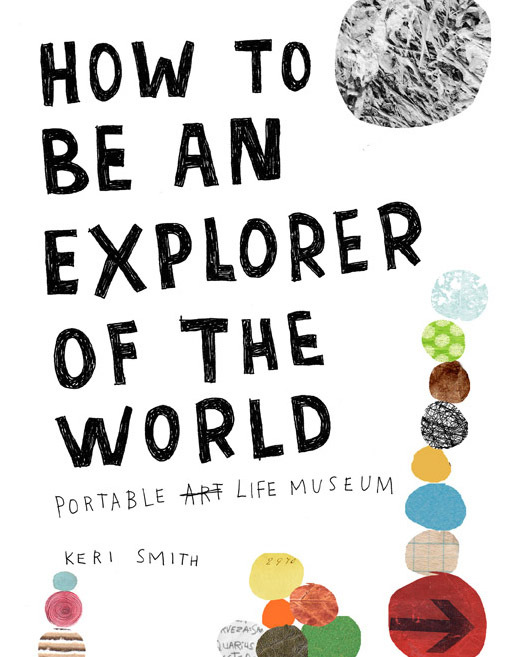 To learn more about Keri Smith, go to her awesome site here. Wish me luck, and whatever happens, I’ll be back on Thursday with another review! I don’t often review books by people I know personally. It might be because I’m one of those writers who doesn’t have a lot of friends who are writers, or it might be because it’s challenging to review the book of someone whose wedding I’m going to in a few weeks. If I were a famous writer with a gaggle of famous writer friends, this probably wouldn’t be an issue, but, like me, most of my friends who are writers are struggling to break into the field and make a name for themselves. We don’t read each other’s work all that much, and when we do, it’s with a healthy dose of ego interfering. This is not an issue limited to the field of writing either. I struggle when eating other people’s cakes, or lifting at the gym, or playing Bananagrams. It’s a streak of competitiveness that spikes in direct relation to how talented I consider myself to be at a given task. I’m not even going to give you the opportunity to pretend this doesn’t happen to you. It does. In some area of your life, you feel superior to others, and it can make it more difficult to accept that the talents of other do not necessarily impact you. Of course, sometimes they do. There can be only one valedictorian in a class, and there are only a handful of spots on any given team. Publishers only take a tiny percentage of the manuscripts written every year, and call backs cull hundreds of hopefuls in the process of looking for the right person to fill a single part. Competition is part of life every single day, in just about every single job, and it has been this way since the beginning of life on this planet. Animals and plants compete in order to survive, and unfortunately, in some places in the world, the competition for food, clean water, and access to things like basic health care and an education is still fierce. And trust me, when I start to think about it like that, it seems silly to worry whether the book written and published by a friend kept me from success in the same field. For the record, it didn’t. Travis and I actually have remarkably similar styles, and the manner in which Lost in Clover got published (he originally submitted the piece as a short story for an anthology; it was rejected for the intended project; then the editor contacted him and asked if he would be willing to turn it into a novella instead) is not completely unfamiliar to me. Honestly, he should be My Nemesis, but he isn’t. Instead, I’m just happy that someone read his short story and was smart enough to tell him to keep working on it because I can’t imagine this book as less than what it is. I’m sure it wasn’t easy to take a piece that he had completely imagined as one thing – a single compact moment in time – and turn it into another that covers eight years of a young man’s life. I’ve tried to convert my own flash fiction into longer stories before, with varying degrees of success, but I’ve never attempted what Travis has in this book. He manages to take one horrific day in this boy’s life and then, instead of pumping the story full of unbelievable action, he explores the path that unfolds when a character’s decision to do nothing becomes the choice that defines the rest of his life. I was moved by this story because it taps into how most of us live. Maybe we can think back on a few opportunities in life when we weighed the pros and cons, made a decision, then acted on it. Most of the time though, it takes a lot less energy to choose not to choose, doesn’t it? It’s so much easier to keep our mouths shut and our heads down, and if we miss something great by doing that, well hey! At least we didn’t open ourselves up to failure, right? There are times when it makes sense to just keep on keeping on, but we use an awful lot of excuses to protect ourselves from the uncertainty of choice. The problem with that, as Jeremy Rogers discovers in this book, is that doing or saying nothing is still something. There is no “nothing. ” There are only somethings that we either choose to control…or not. For more about Travis Richardson, head over here. Her: I love that book! I’ve read it twice. I’ve never cried harder for a book than I did for that one. Me: So if I just freak out about it for the next hour…? Thank God for friends who understand what it’s like to get uncomfortably over-invested in books. I, on the other hand, went into it knowing exactly what I was getting into. I’ve seen a thousand gifs and heard all the most popular quotes. I was fully prepared for a story about star-crossed teenage love. I told myself I was only doing this so I would know what other people were talking about when it came up in conversation. Even as I was reading it, I was completely under control. I had decided that the only people who got emotional about this story were the ones who knew nothing about it before they started. I was a rock. I could handle it. Fast forward to about forty pages from the end. Those of you who have read this book probably know exactly what part I’m thinking of, and for those of you who haven’t, well, I don’t want to spoil it, but the kids have cancer – feel free to use your imaginations to fill in the myriad plot points that could arise out of such a story. It’s okay. I’ll wait. Got them? Good, now that you’re with us, maybe you’ll understand why I was laying on the floor of my living room crying my eyes out. I love that about this book. It reminds me that there are the things in this life that we want, and there are the things we can have, and the two circles do not always overlap. It doesn’t mean we give up. To me, it means we try harder, and we appreciate, with every ounce of our being, when those circles do slip over each other. Because sometimes, kids have cancer that can’t be cured. And desperately needed jobs only take a day to lose. Our bodies may betray us. Our friends and family won’t understand what we need them to understand. Loss is a constant because the world is not a wish-granting factory. That fact will never not hurt, and there will never be a solution to every problem for every person. The world is not a wish-granting factory. John Green sure got that right. But he also wrote a book that made me desperately happy for the small precious moments in life. His characters didn’t save the world. They were just ordinary teenagers who also happened to have cancer destroying their bodies from the inside out. And yet. They found a way to have good days. They found a way to appreciate the moments that weren’t made of pain. They rose above futile wishes and continued to live their lives. To me, that’s the most heroic way a person can live. Some of us may get the chance to do something momentous one day, but most of us will just live quietly. We can choose to regret that, or not. I choose not. I like the details of life so much more than the broad brush strokes anyway. John Green has written what is, essentially, my Catcher in the Rye. Now, before you rise up against me for saying that, let me explain: I didn’t get Holden Caulfield when I was fifteen, and it made me angry that I was supposed to and couldn’t. Of course, I get him now, and all I can think is what a blessing it was that I didn’t understand back then. Life had been exceedingly kind to me, and I hadn’t earned that book yet. The book I needed then was this one. I had experienced unexplained physical pain since I was five. I had a family I cherished that I never wanted to hurt or disappoint. I had known too much death. I needed Hazel and Augustus and Isaac. I needed to know that other kids had lost and lost and lost and yet still managed to maintain their sense of humor and passion. I hadn’t dived into the darkness of the world, but I had paddled along its edges. I needed books that would guide me a little deeper, but carefully, and with love. This would have been that book for me. For more about John Green, head over here. Although I had planned to spare you all another Flavia deLuce novel review, I felt moved to write about this one (the fourth in the series) not because I liked it better than the others, but because it uses an interesting device and I wanted to talk about it. 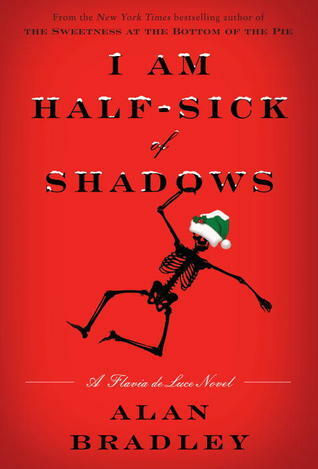 This is Bradley’s Christmas book, and he chooses to bring a huge number of characters (a film crew and half the town) to the deLuce family home (a dilapidated country estate called Buckshaw) and then traps them there with a massive snowstorm that knocks out phone lines and makes roads and even footpaths impassable. Murder, of course, ensues, and the whole story is played out, not just on the property, but within the manor itself. I don’t think this idea appeals to me strictly because I was sick for over a week and “trapped” in my own small home, although I certainly could empathize with the frustration of these people after having been together for a few days. No, I actually have a very bad novel I wrote in 2010 that is proof that this particular device has been on my mind much longer than this ridiculous cold has been sitting in my chest. I have tried to salvage that novel many a time, and whenever I pull it out to see what I can make of it, I discover that writing a compelling story where the characters are limited to one small space is incredibly difficult. The tiniest action affects every person – even a slight alteration in mood is enough to throw a wrench in the best laid plans. I imagine anyone who has undertaken a days or weeks-long car trip can attest to this. There is just something inherently stressful about shoving people into a small space; it’s ridiculous to assume they will behave as they always do under those circumstances. When I was reading I Am Half-Sick of Shadows, I kept being reminded of the movie “Clue.” It was a film I both loved and hated as a child because even though it was a comedy, it did an excellent job creating dramatic tension. 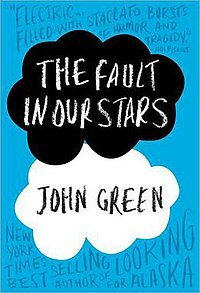 What made that story ultimately more successful than this book, for me, was that it limited the cast of characters. There were enough suspects to keep the audience guessing, and to create a number of meaningful interactions between different parties, but not so many that it felt like a block party. Bradley’s mistake was in introducing too many people into what should have been a tightly constrained scenario, even though the reader and Flavia, as our eyes and ears on the ground, as it were, know that Bradley isn’t one for sacrificing his villagers. We may not like all of them, but the chance of one of them committing a brutal murder is low…which is great, if you happen to live in Bishop’s Lacey and want some reassurance that you won’t be killed by the minister’s wife or the pot-boy at the pub. It’s slightly less great if you’re assembling a group of suspects and want to build tension to its breaking point. Having so many extra characters hanging around dilutes that essential uneasiness Bradley manages after the murders in his earlier novels. The story itself is still charming, but the element of suspense gets lost with all those completely non-shifty people wandering around. I found that disappointing because this setting was so different from the earlier books; normally, Flavia spends as little time as possible at home. Her energy, completely believable in a ten-year old detective, takes her all over the countryside on her bicycle, and Bradley has proven again and again that he’s capable of making even a bus stop seem creepy when the girl is on her own. On her adventures, it’s easy to forget that she’s a child, right up until the moment when she’s put into a position where a small girl’s physical strength is a massive disadvantage. It’s that balance of Flavia’s ultra-capability with the more realistic consequences of investigating gory crimes that makes these books so enjoyable. Once she is surrounded (practically smothered by) sensible adults, the fun of it sort of fades. It’s really a trap of the location. While it seems like a brilliant, spooky plan to confine sixty (plus) people to one place, really, he would have done better to cut the number to about twelve. Of course, that doesn’t make sense with the story as it stands, but it would have done a world of good for this particular device. I would actually read a second attempt by Bradley if he took this idea and tweaked it – I like his style and core characters that much – and I’m curious to know if anyone has a suggestion for a particularly successful book in this “genre.” There are certainly novels like The Maze Runner or Lord of the Flies that do a lot with a slightly larger but still contained setting, but what I really want is a book where square footage is at a premium. Feel free to leave any suggestions in the comments. For more about Alan Bradley, go here. The crap thing about being sick is that it’s never completely clear whether you’re at the bottom of it (as I thought I was last Tuesday), or if there’s still further to fall (spoiler alert: there was). I thought I was spending my sick day reading the last Sookie Stackhouse novel, but really, I was spending a day when I felt mildly cruddy reading the last Sookie Stackhouse novel. The real sick days were still in store for Thursday and Friday. Lucky me. I find it difficult to read on days when I feel truly terrible. I seem to be the only person I know who has this particularly nasty springtime cold, and all I really wanted to do was watch BBC exclusive shows on Hulu (apparently, my tablet still thinks we’re in London). I rarely have time to read on the weekends though, I knew I still had about 200 more pages to read in The Ghost Brigades, so I made myself a deal. For every ten percent of the book I read, I could watch one episode of nope I cannot reveal this to the internet the show that shall not be named. This actually worked for me surprisingly well. I could lay around sluggishly watching some brainless British drama for half an hour, and then I would spend about forty minutes reading and drinking copious amounts of juice, generously supplied by my amazing neighbor. I stayed hydrated, I finished the book, and I got through almost two seasons of wouldn’t you like to know. When I finished the book, I was completely satisfied, and I could see how perfectly Scalzi had set me up to want to go out and read Zoe’s Tale. Unfortunately, when I took to the internet to make sure it was the next book in the series, it turned out that no, it was actually the fourth book in this collection, and furthermore is a retelling of the third book from a different point of view so I definitely couldn’t skip ahead. I enjoy Scalzi’s novels (enough so that I’m definitely going to see him speak while he’s on tour this month, even though I haven’t yet read the book he’s promoting), but I have so many other books that need to be read! There are still two more Flavia deLuce stories that I’m keeping myself from devouring. I have a spreadsheet full of titles I want to read, and then there’s the much-neglected To-read shelf that I haven’t even glanced at since I returned from my trip. The thing about Scalzi’s older books is that, while they’re culturally rich, well-peopled, and scientifically intriguing, they aren’t particularly fast-moving. And I’m fine with that. In fact, because it is the number one challenge I face when writing novel-length stories, I find great comfort in seeing Scalzi’s literary progression – it gives me hope (also, I unabashedly like in-between action scenes quite a lot). I often wish my favorite books and shows would spend more time on quiet, human moments, and by the time Scalzi wrote Redshirts, he had nailed the balance between character development and pacing. I couldn’t put it down and happily listened to the audio version on a car trip only a few months later – it was that good. These earlier novels simply require a little more patience. They’ve paid off every time, and I look forward to reading another one, but I can’t quite commit to it right away. What inevitably brings me back to his books, though, are his characters. He has an uncanny ability to create people I care about, and he doesn’t focus solely on main characters, but fleshes out the supporting cast as well. Personally, I could write hundreds of my own “novel” pages where nothing ever happens outside of a character’s head, but where worlds rise and fall on the thoughts and imagined actions of others. Scalzi manages to make me believe he has written all those pages too, but then has carefully cut around the edges of the character and found him or her a home inside an actual story. It’s a delicate surgery, to be sure, and it’s possible he does nothing of the kind to create his books. It’s not really important whether he does or not though – what’s critical is that he makes me, the reader, believe that he has done it. That is a rare gift, and one I appreciate greatly every time I come back. On Monday afternoon, I told my mother that I should probably try to finish The Ghost Brigade up pronto because I had a vague recollection that I had pre-ordered the last Sookie Stackhouse book and it was due out imminently. 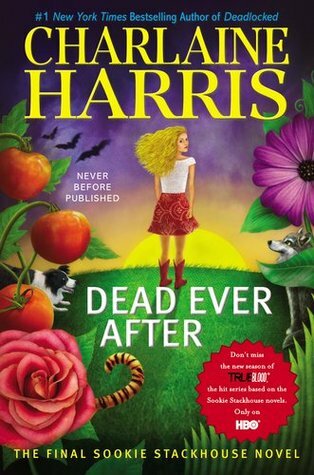 I think my exact words were, “If I don’t finish this book before the new one arrives, all bets are off.” Well, I woke up on Tuesday morning with a sore throat and an email in my inbox telling me Dead Ever After had been delivered to my kindle. A sick day AND the final installment of a series I fell in love with last spring? Sorry, Scalzi – I’ll get back to you Monday. There was no way I wasn’t going to shirk all other duties in order to read the whole thing. I have one load of damp laundry and another that’s wrinkled in the dryer, not to mention a terrifyingly filthy kitchen to prove it. And, God, was it glorious. I mean, legitimately, it is one of the best days I’ve had in a while, and that was with the sort of sickness Tylenol doesn’t make much of a dent on. I didn’t answer the phone when it rang. I didn’t have even the faintest desire to check email. I just dove into those sweet, long-awaited and pages and didn’t come up for air until I was done. And I know my followers are bookworms who understand this kind of desperate page turning. It’s not about the book being the best one ever written – it’s about the rabid desire to know the fate of a character who has become a friend over the previous twelve novels. It’s an obsession that is painful to ignore. If I’d had to stop to cook or write or even put on real pants, I would have been unreasonable, and most likely, completely enraged. I’ve been there before. It’s not pretty. In fact, I’ve been there before with Harris’ books, although since many of my newer readers might not have gone into the archives, they may not have stumbled upon my passionate rantings a year ago. They might not know that I managed to read about eight of the Sookie Stackhouse books during a week-long visit with my parents, utilizing the kindle app on my phone to make it look like I was doing something that conceivably could have been important. My parents know me pretty darn well though, so I probably wasn’t fooling them one bit, but still. I’m not sure they realized quite how late I stayed up every night, or why their child, who usually takes less than ten minutes to shower and get dressed, was suddenly taking forty-five minutes instead. I haven’t changed that much since I lived under their roof though – at least not when it comes to reading. They raised me to love books, and if that sometimes meant chores didn’t get done in a timely manner, or I seemed distracted or antisocial, I think they chalked it up to the very best part of their parenting. I certainly do. I wouldn’t trade the part of me that obsesses over a good book for anything. I wouldn’t want to erase the hours we spent as family reading together, both aloud and to ourselves, and it gives me real pleasure to know that as my brother and I grew up and left home, it was something special we all still shared. Sure, you wouldn’t catch my brother reading a bunch of books about a telepathic woman from Louisiana but he sure did marry the woman who got his sister hooked on them. And while my dad pokes a little fun at my mother and me for our love of genre fiction when he’d rather be reading Shakespeare analysis or biographies, he’s never once suggested we shouldn’t read whatever makes us happy. My mother sneaks her chapters in while drying her hair at the gym, and I get a perverse pleasure from sending both of my sisters-in-law books to read from brilliant, unfinished series just so I’ll have people to lament the wait with. I love having this connection with my family, and now, with my readers – this mutual addiction of the unread word, and an unapologetic passion for the books we know and love. I adore the feeling of a long-awaited book sitting in my hands. I cherish unexpected titles I find when wandering through the library. And I definitely can’t keep from allowing myself to be head over heels for the books that encourage me to put the world aside for a day. So thank you, Sookie, for being one of hundreds of characters I’ve encountered in my life that I can’t wait to know more about. It’s hard to say goodbye, but it’s been a damn good ride. For more about Charlaine Harris, head over here.